Cheltenham Festivals is a leading cultural organisation and charity with around 36 days of festivals of Literature, Jazz, Music and Science as well as year-round schools and outreach projects. 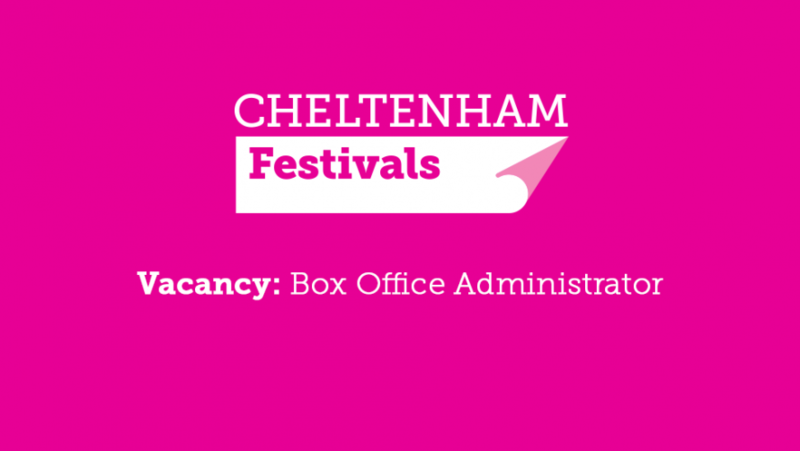 We are looking for a sales and customer service focused person to assist the Box Office and Sales Manager in running an efficient and effective Box Office which is customer-focused and proactive, maximising income through sales of tickets, membership, donations, secondary spend and Gift Aid sign up. You will be exceptionally organised, be process driven with good communication skills. You will need to work well with technical systems and be confident and personable and enjoy working in a team environment. The ability to work to deadlines and to be flexible with working hours at peak festival periods is essential. Experience of working in a ticket selling environment is desirable, but not essential.